Tropical Cyclone Iris has already re-generated once after weakening to a low pressure area, and forecasters are keeping an eye on the remnants for any hint of a second regeneration. NASA-NOAA's Suomi NPP satellite captured a visible image of the low-pressure area currently fighting vertical wind shear. On April 9, the VIIRS instrument aboard NASA-NOAA's Suomi NPP satellite saw clouds associated with former Tropical Cyclone Iris in the Coral Sea. 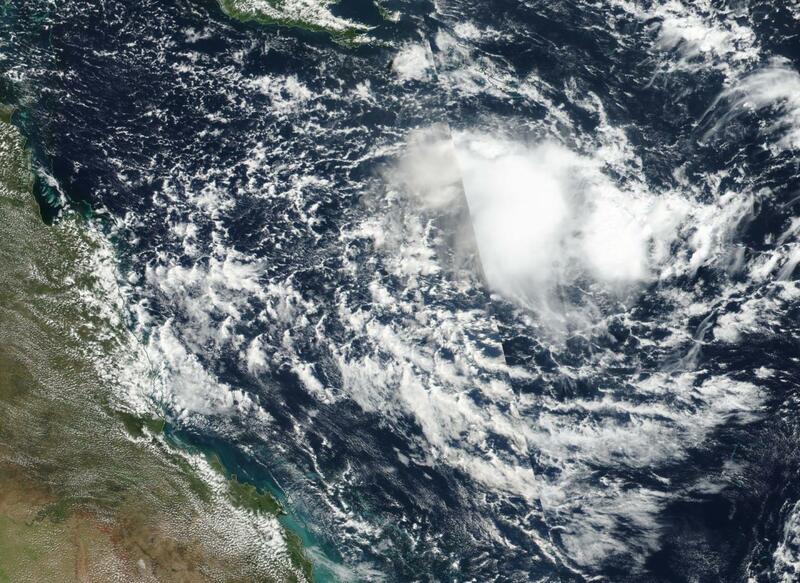 The ill-defined center of circulation was located about 276 nautical miles northeast of Willis Island, Australia. Satellite imagery revealed that the bulk of precipitation is located in the southern and eastern quadrants as a result of northwesterly vertical wind shear. Over the next 24 hours, the low pressure area has a low chance of regenerating a second time.